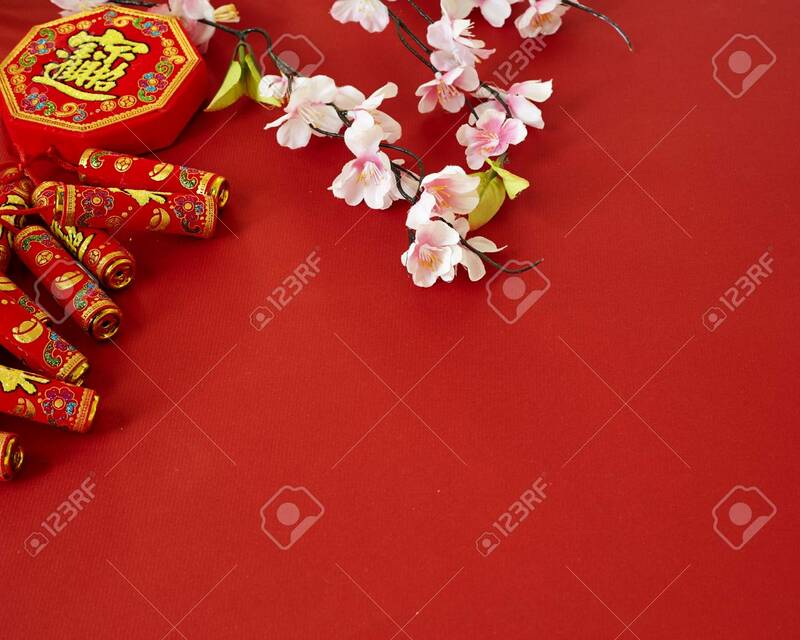 Chinese New Year 2019 Festival Decorations Plum Flowers On Red Background (Chinese Characters . In The Article Refer To Good Luck, Wealth, Money Flow) Empty Space For Design Banco De Imagens Royalty Free, Ilustrações, Imagens E Banco De Imagens.. Image 113691945.